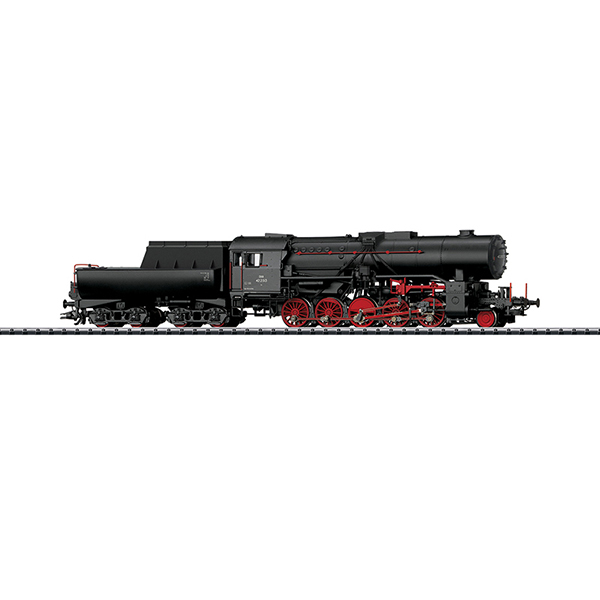 Prototype: Austrian Federal Railways (OBB) class 42 heavy steam freight locomotive with a type 2´2´T30 tub-style tender. Without smoke deflectors, pilot truck wheel set with solid wheels, rail clearance devices with large scoops, both lower headlights in the front of the locomotive built into the cylinder block. With added boards on the coalbunker on the tender. The locomotive looks as it did in the Fifties.